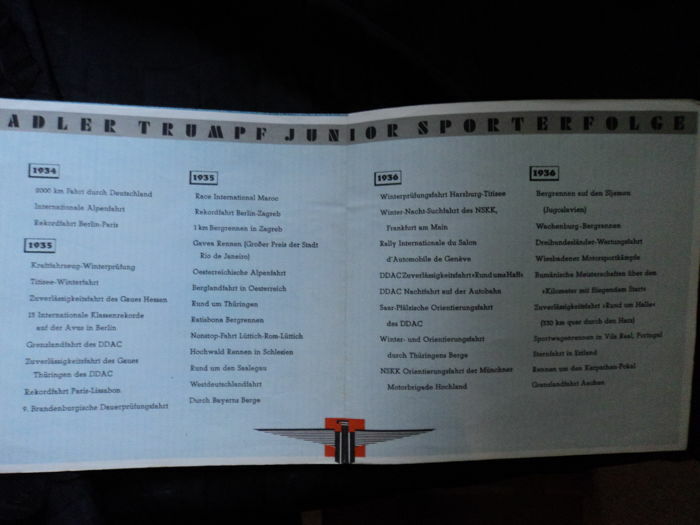 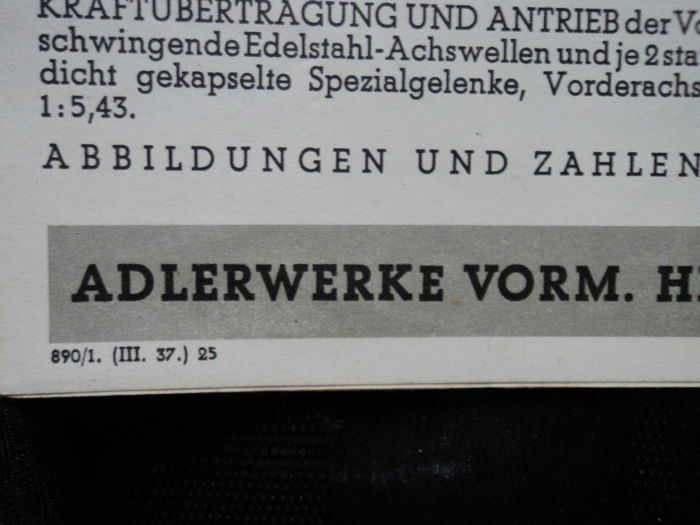 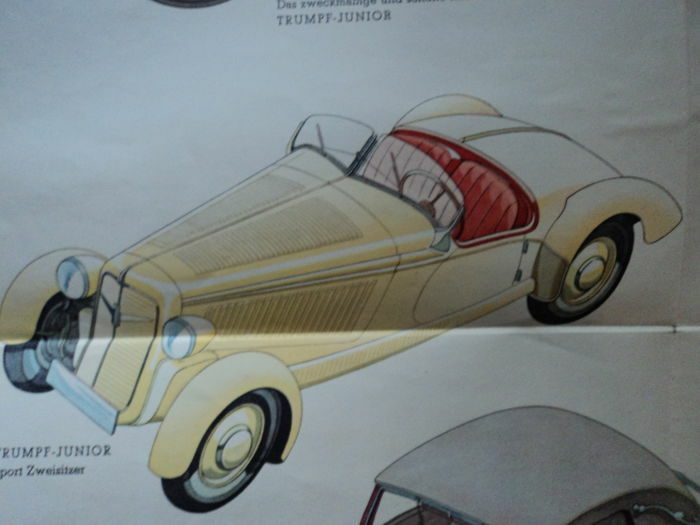 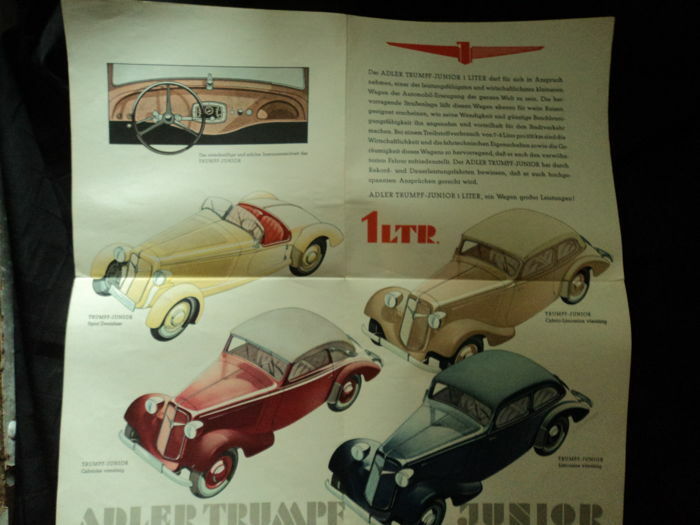 1 “Adler Trumpf Junior” folding catalogue from the year III/1937, “Trumpf Junior” with images div. 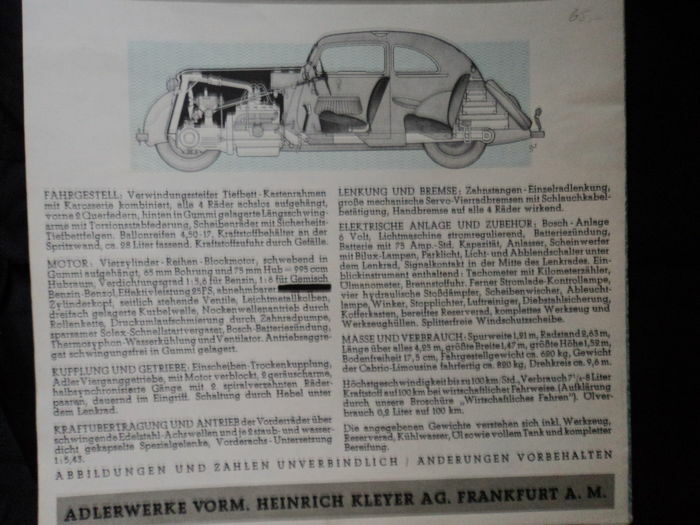 Series and technical Data, good condition, 8 pages, dimensions approx. 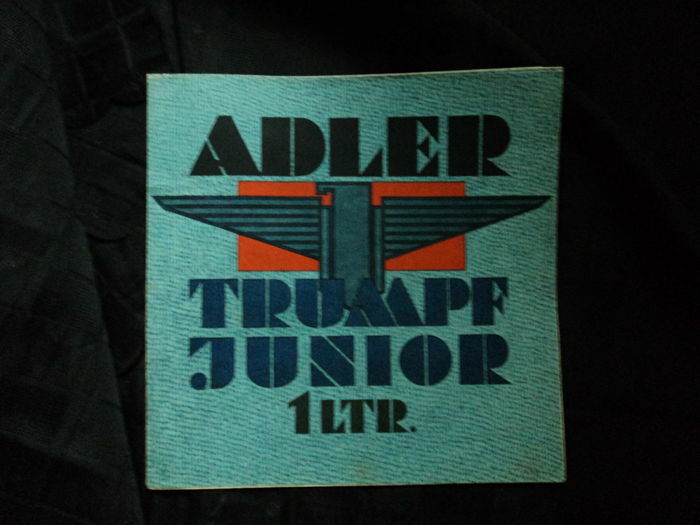 23 x 23 cm.